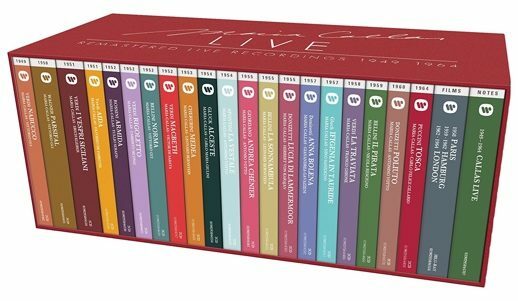 All the daring and imagination of La Divina’s live work, particularly in the early years, is revealed in Warner Classics’ Maria Callas: The Live Recordings. 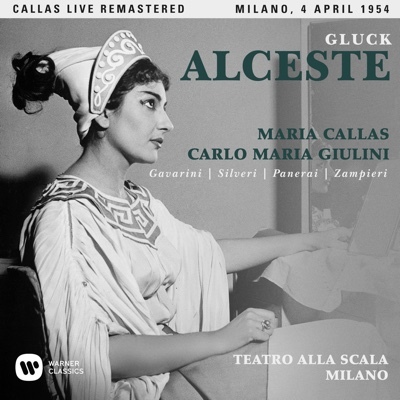 In commemoration of the 40th anniversary of the death of Maria Callas, Warner Classics has released this set of 20 complete live opera recordings at reasonable pricing, with spectacular sound restoration by Studio Art et Son and Studio Circé. An excellent booklet places each performance into the context of her career, focusing on a particular repertoire or season. In addition to some choice reprints of essays by John B. Steane, newly commissioned pieces by Michel Roubinet also reveal much, particularly about the soprano’s early work in Greece. You will need French or Italian to read a few of them. Each opera is also available separately (although I recommend getting the whole set, as it doesn’t take up much space and the price is nice, under $4.00 an opera), so I’ll comment on each work in chronological order, attempting to note the pros and cons of replacing a set you already own, or venturing into new territory. I expect lively discussion of the many points I have omitted or overlooked! A few of the offerings still suffer from poor sound quality in the original material, even though in many cases the producers went back to original analog recordings. But most of the set offers vivid sound, absent of surface noise, hiss, pitch irregularities and balance problems, plus an entirely new sense of theatrical space. Many of us, of course, learned these performances from LPs and cassettes, and mine have now found their way to the curb. 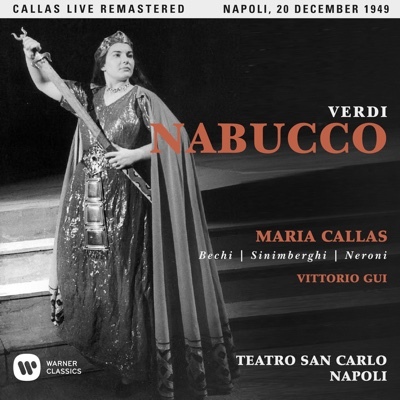 The 1949 Nabucco from Naples leads off the collection, representing not just Callas’ earliest known live recording of a complete opera, but also her only complete recording of Abigaille, a role seemingly made for her combination of power and agility. Although there are many available recordings, live and studio, of the heroine’s aria “Anch’io dischuiso,” this set is a must-have for the thrill of the soprano’s bold vocal characterization and huge, spacious sound, especially in the top notes. We already hear the variety of attack and some of the lightening and sweetening, along with the reduction of vibrato, that characterizes her bel canto singing. Abigaille’s cadenzas, particularly in the aria and in the act three confrontation duet “Donna, chi sei?”, are rapid and clean, driving up and down the scale in one thrilling gesture. Gino Bechi’s work in the title role is uneven, but Callas seems to perk him up in their Act Three duet, and her final high E-flat encourages him to counter with a decent A-flat. A near riot of enthusiasm propels the encore of the chorus’s “Va, pensiero.” The soprano’s characteristic mournful sound is used in the final scene, along with effective sobs cutting off her plea, “Non maledire a me!”. This is an essential historical document. 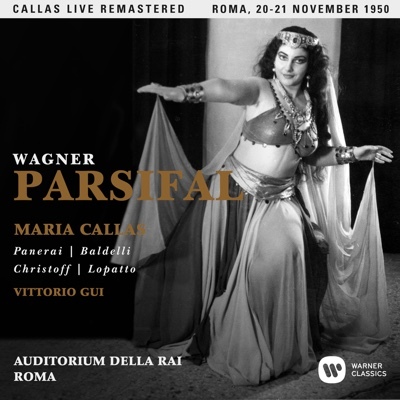 The 1950 Italian-language Parsifal is presented in its entirety (for a long time only Act Two was available), and Kundry is Callas’s only recorded Wagner role. She easily handles the urgent, jagged vocal writing in Act One, and uses a tortured, dark and melancholy sound throughout. She breaks into the cheerful gathering of flower maidens with an arresting and commanding address to the hero, and brings warm, mysterious, and alluring sound to their duet. She makes ample use of diminuendos, always staying on the breath, with very even vocalism, moving easily from tender to furious to manipulative. Of note is quick-vibratoed Boris Christoff as Gurnemanz and Rolando Panerai as Amfortas. To the presence of Lina Pagliughi as a flower maiden, John Ardoin quipped that two famous Lucias had probably never appeared together in Parsifal. 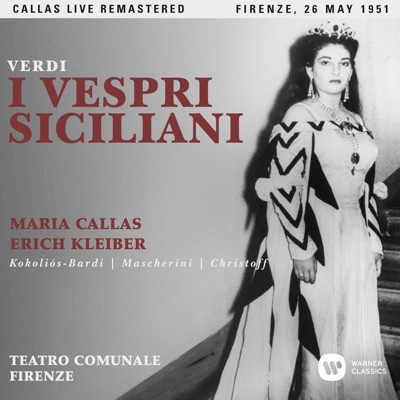 The 1951 Vespri siciliani from Florence, under Erich Kleiber’s direction, is deservedly well-known, and the restored sound is clean and relatively clear. Callas brings point to Elena’s first act aria “Deh! tu calma,” particularly the insistent repetitions of “Il vostro fato è in vostro mano” (Your fate is in your hands) where the directness and specificity of her challenges—you can almost see her eyes burning into each person in turn–are chillingly effective. The difficult quartet that follows (“D’ira fremo”) represents Callas’s innate musicality—when the writing turns tricky, she becomes laser-like in pitch and focus. In the Act Two Elena/Arrigo scene, Callas’s limpid and delicate singing, clear and on point in those rising lines, draws even the unsubtle Giórgios Kokoliós-Bardi into her aesthetic. Similarly in the Act Four duet “Pensando a me,” the tenor becomes more focused in response to her tender sound. The popular arias–Christoff’s “O tu Palermo” and Callas’s jaunty Bolero–are high points, of course, but it’s Callas steady work throughout, illuminating the score even as she is expressing it, that reveals a truly historical artistic moment. Aida represents the return of the high E flat. This is the second year of the legendary Mexico City performances in which Callas capped the Act Two finale with an E-flat in alt. In 1950 the feat was revenge for particularly piggish singing by tenor Kurt Baum, and the soprano had given a heads up to the rest of the cast. A year later, Mario del Monaco and Oralia Domínguez were on fire, the tenor singing loud and louder, taking extra breaths in “Celeste Aida” to roar out spectacular high notes, the mezzo bringing terrifying, granite-like sound to every phrase. Callas bides her time through the scream fest of Act One, until “Ritorna vincitor,” where she invests every phrase with thought and meaning, feeling her way through each dramatic moment. The show may be a circus, but her artistry will win. Dominguez’ massive sound dominates the Amneris/Aida confrontation scene in Act Two, until Callas bursts forth with “Vive! O grazie, o Numi,” her high A a cry of joy and defiance. Here she takes control of the scene, and indeed of the entire performance. The high E-flat at the end of the act is her trophy. 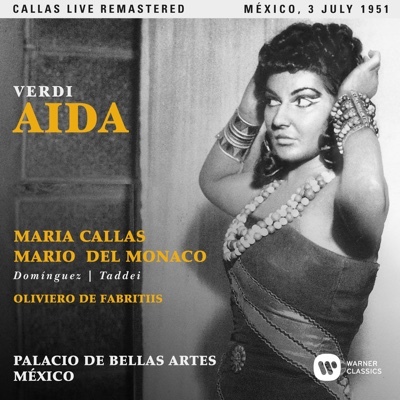 I must admit a preference for Giulietta Simionato as Amneris, whose sweet, more womanly sound (along with a major memory lapse in the judgment scene) is heard on the 1950 Mexico City Aida. The drawbacks of that performance, of course, are Baum’s Radames and conductor Guido Picco. 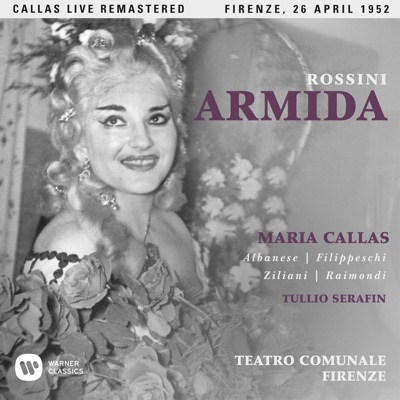 Armida from the 1952 Maggio Musicale (with Tullio Serafin) represents the soprano’s only complete Rossini opera seria role, and her spectacular, stylish singing overcomes the poor sound quality of some of the tracks. In top form, she adds high note after high note, including plenty of blazing high Ds. But more telling is her masterful shaping of the fioritura, both the rhythmically propelled patterns of 16th notes as well as the rhapsodic, cascading cadenzas. Tenors Francesco Albanese, Mario Filippeschi and Alessandro Ziliani omit much of their coloratura writing, and when Callas repeats someone else’s line she invariably shows them how to sing it more accurately and more expressively. While colleagues often sing around the beat, Callas is always spot on. In the famous aria “D’amore al dolce impero,” grace, line, and style propel the difficult variations, the quick triplets rippling easily and evenly throughout more than two octaves without ever sounding driven. The final scene combines furious recitative, militant arioso, plaintive aria, and a final high E-flat as the sorceress exits in a fiery chariot. 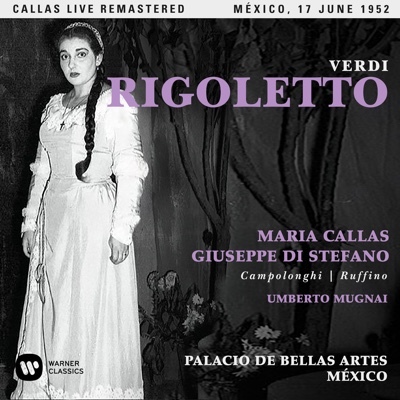 The 1952 Rigoletto from Mexico City (with nicely cleaned-up sound and some restored pitch inconsistencies) represents Callas’s vocal acting at its most supreme, and a growing concentration on investing bel canto roles with imagination and drama. Piero Campolonghi’s jester is not particularly interesting, but Giuseppe di Stefano brings his characteristic vocal charm and technical randomness to a committed portrayal of the Duke. “Parmi veder le lagrime” is his best contribution, while “La donna è mobile” ends an entire half step flat (as does the encored second verse). Conductor Umberto Mugnai waits as long as possible before bringing in the orchestra, but the tuning is painful, although the rapturous public cares not. Callas explores girlish, vulnerable sounds, and is utterly convincing as a shy, virginal victim. The duet with di Stefano is heavily cut, but both singers produce acceptable high D-flats at the rushed conclusion. “Caro nome” is a thing of utter beauty, with delicate filigree and a controlled dreaminess that once again reveals the soprano’s rhythmic genius in understanding the larger metrical units that still allow rubato and freedom. When Gilda enters, after “Corteggiani, vil razza,” the devastating heaviness of Callas’ tone is clearly that of a molested innocent. She mumbles the opening line of “Tutte le feste,” the prompter, having shouted nearly every word of Act One, now mysteriously gone missing. 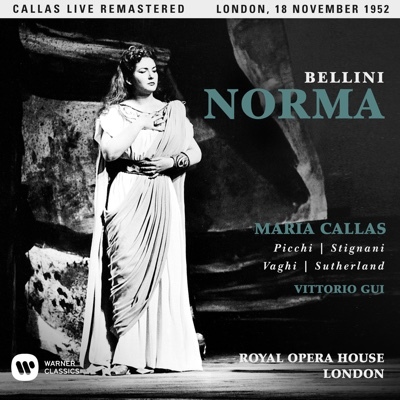 The well-known 1952 Norma from Covent Garden reappears with clean sound and represents an early Callas recording in which the listener doesn’t need to skip the parts she’s not in. Mirto Picchi’s quick-vibratoed Pollione and Ebe Stignani’s luscious sound (although nearly every vowel mutates to “ah”) contribute powerfully, though their singing is boxy and square compared to the soprano’s. Callas seems nervous in the opening recitative, using the high A-flat on “io mieto” to test out her breath, spin, head voice, and control for “Casta diva.” While conductor Vittorio Gui seems to hear the piece in 12, Callas sings in a broad 4, always magically suspending the long notes that begin the first two phrases. The cabaletta “A bello a me” is sung confidently, with pure and almost floaty tone. Favorite moments are Callas’s handling of “trema pei figli tuoi” in soft and menacing tones rather than a shout, and the high D concluding the trio, which she holds onto even after the orchestra has resolved the chord. 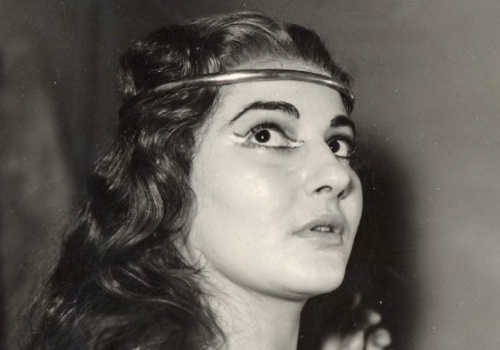 The duets with Stignani are white-hot, although once again Callas shows a colleague (in “Mira, o Norma”) how a verse could have been sung more musically. 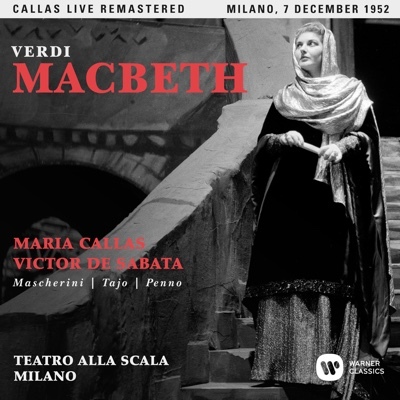 Callas opened the 1952 season at La Scala with five performances of Macbeth, her first and last complete portrayal of Verdi’s ambitious and tormented Lady. With the exception of some very poor sound in the a cappella section of the Act One finale (“Schiudi, inferno”) and a bit of Banquo’s assassination, the restoration is superb. Even if you know the arias from other live and studio recordings, this reissue—the soprano’s only complete recording of the opera—is a must-have for the chance to hear the “in-between” moments of dramatic imagination in Lady’s interactions with Macbeth, although Enzo Mascherini is imprecise and a bit weepy in the title role. Victor de Sabata leads a full-bodied, thrillingly paced performance, showing the La Scala orchestra (but not so much the chorus) to great effect. Callas’s weirdly sing-song reading of the letter has been much commented upon, but the rest of the opening scene is hair-raising. De Sabata holds back the tempo of “Vieni! t’affretta!” making the soprano work hard, but the effect—deliberate and purposeful—is just right. She avoids spooky melodrama at the realization that the king has placed himself directly in the hands of the murderous couple (“Duncano sarà qui? Qui la notte?”) but does manage a creepy quietness to begin the incantatory cabaletta “Or tutti sorgete,” growing to a massive high B. The duet “Fatal mia donna” shows once again Callas’s impeccable musicianship, as she uses the quick staccatos and the turn to the major key both to mock and to reassure her irresolute husband. The second act’s “La luce langue” is performed as a meditation in one long crescendo, culminating in another blazing high B. For the drinking song, de Sabata again chooses a deliberate pace. All the more puzzling, then, is his rushed and ineffective handling of the sleepwalking scene. Callas has no time for her special mournful colorings or her heart-breaking way of suspending the sound in this rush to the finish, but she manages to float the high D-flat perfectly (having tried out the note in full voice at the end of Act One). Italo Tajo’s Banco is worth noting, but the Macduff and Malcolm are run-of-the-mill. 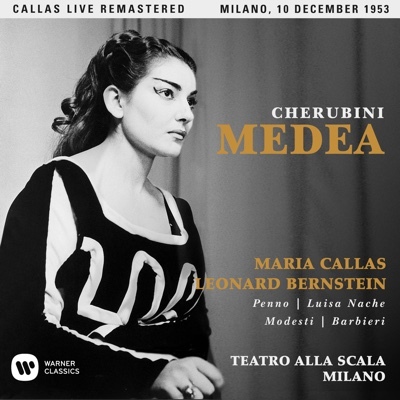 Callas sang Cherubini’s Medea in ten different runs between 1953 and 1962, the recording here representing the December 1953 performances from La Scala, when conductor Leonard Bernstein had learned the work in a matter of days. The sound is exemplary, although what sounds like crickets in Neris’s Act Two aria is just squeaking of electronics. I must confess to a dislike of the piece (perhaps Lachner’s anachronistic recitatives, or Cherubini’s “Gluck but not Gluck” style), and have always been troubled by Callas’s vocal extremes in this work—taking the chest voice very high, and an overall harsh recklessness. Of note is Fedora Barbieri’s massively sung Neris, and the way both Bernstein and Callas invest the classical style with blood and guts music-making. Throughout the performance, her singing is beautifully expressive, with sculpted lines and long breath. “Divinità infernal” glows with intensity and determination. The second act “A’ vostri lai” begins sweetly, then grows to climax at the pitiable line “Del mio destin più rio destin non è.” In Act Three Alceste and her husband Admeto each volunteer to die for the other and, while Renato Gavarini yells his role, conductor Giulini proves a perfect partner to Callas, in the imploring “O funesta Dea implacabile” and the tender “Vivi, e guarda,” with her affecting use of portamento. In the second installment of this review, we will rejoin Callas at the beginning of the pivotal 1954-1955 season.